Creation: The human person is created in the image and likeness of God after the pattern of Christ, the human prototype. By nature the human being stretches beyond itself in love towards God and the neighbour. Human nature was created not yet in perfection but with the capacity to attain the eschatological perfection of a society ordered wholly by love. Fall: Only the height of our createdness can measure of the depth of our fall. Created with a capacity to love God, the fallen human being projects transcendent longing on to worldly objects. When this is done individually it leads to spiritual enslavement. When it is done collectively – when a whole social order projects transcendent longing on to some common object – then the monsters of idolatry appear on the stage of world history, and uncontrollable enslaving powers are unleashed. Sin: The essential form of sin, therefore, is idolatry; and the fruit of idolatry is slavery. The first is a perversion of our capacity to love God; the second is a perversion of our capacity to love the neighbour. Society: In every social order, one can glimpse something of the majestic createdness and abysmal fallenness of human nature. The problem of any given social order lies not in specific structural and institutional arrangements. The problem lies in the inscrutable depths of the disordered human heart. That is why the noblest revolutionary turns overnight into the bloodiest tyrant. It is why the most equitable social and economic arrangements are so quickly exploited by a mysterious and insatiable greed. It is why social orders prove mysteriously insusceptible to rational planning and management. Politics: The sole rationale for politics is original sin. The principal aim of political order is not to produce justice but to restrain injustice; not to cultivate the spirit of the law but to enforce the rule of law; not to create love but to set limits to self-interest; not to bring peace but to constrain the inevitable tendencies of the human heart towards violence and war. Politics cannot bring Christ to earth. It is enough if it succeeds in holding Antichrist at bay. But while the rationale for politics is original sin, the measure of politics is eschatology. The perfect eschatological society stands as a criterion and criticism of every social order, stripping it of its pretensions to transcendence and thereby freeing it to be simply what it is: a tragic necessity for a fallen world. Institutions: The ordering of society through institutions reflects a real though limited good. 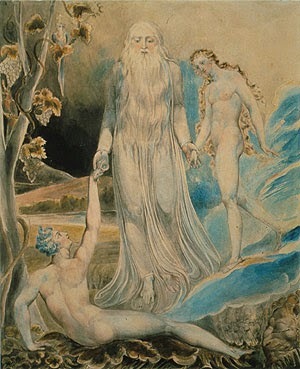 Judged by the measure of the perfect eschatological society, institutions can be relieved of their pretensions to transcendence and can aspire to better (though always limited) approximations of truth, goodness, beauty, love, and peace – though these subtle approximations are ordinarily possible only where a society has first been adequately restrained by political authority and the rule of law. Church: The church is not one social institution alongside others, even though the church inevitably expresses its spiritual life through institutional structures. The church is the society of Christ's followers dispersed throughout the world, permeating every institution and every stratum of social order. Christ's followers participate fully in the social and institutional life of a society, but they do so in the mode of repentance and hope. They repent as representatives of the whole social order; and their hope is likewise a representative act on behalf of the whole society. In this way the church functions not as one of the world's institutions but as a leavening of all institutions within a given social order. By pursuing the imitation of Christ through the twofold discipline of love of God and love of neighbour, Christ's followers give persistent witness not to any alternative or improved political order but to something before and beyond all political order: human sociality ordered by love. The existence of such a witness leads in some circumstances to martyrdom, in other circumstances to reforms or modest improvements within a social order. The consequences differ but the witness is the same. Eschatology: Christian hope is directed not towards a catastrophic end of social life, but towards the revelation of a perfect sociality ordered by love. The infinite beauty of God allows for unceasing growth in love. In the life of the world to come, our growth in love will continue unceasingly, and human society will flourish under the order of love. On that day – but not till then! – the necessity of social ordering through politics, law, and institutions will be lifted. God: The secret of human history is the patience of God. All God's dealings with humankind are marked by a patient love of growth and life and time. Not coercively but with supreme courtesy, God draws the human partner out beyond itself into loving union with God. This is an eschatological relationship, since the depths of divine love are without limit; but it is eschatology adapted to the capacities of human nature. Our nature is not violently altered from the outside but is, in Christ, creatively healed, renewed, and glorified from within. Strictly speaking, it is our love that is reordered, not our nature. The glorified human being – the human being lovingly united to God and to the neighbour – gives rise to a glorified (because fully human) sociality. A fully human society is the glory of God. Church attendance manual (3): "Please be seated"